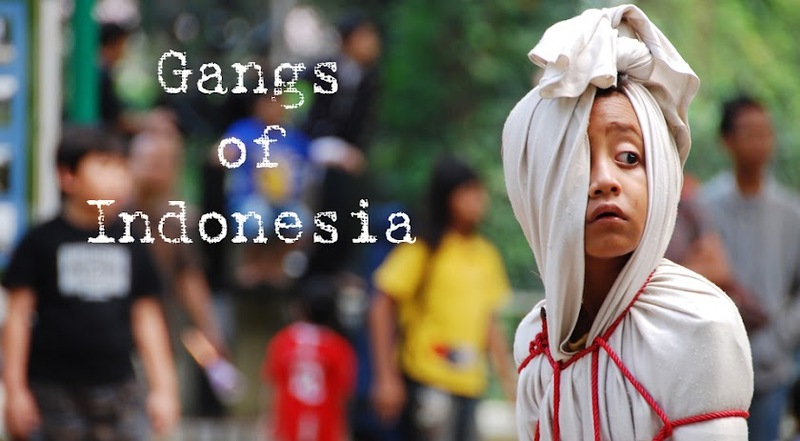 "We drip the blue dye directly into the baby's eyes," says Ibu Titin. 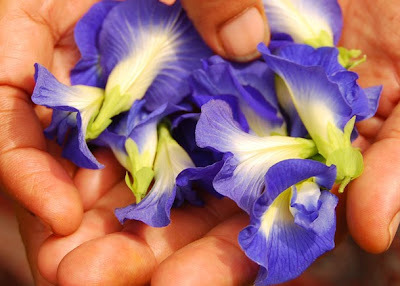 Nested in Titin's hands are the indigo and lime petals of the clitoria ternatea flower, from which blue dye is extracted. Titin points to her sleeping two-month old grandson, suspended over the street in a net sarong. "I hope he'll get blue eyes like you," she adds. Titin and her husband Pak Waki live along a river in central Jakarta. Their business is a small clapboard eaterie on the riverside path. The path cuts straight through their home. "Just pluck the petals from the vine and drop them in hot water for five minutes," continues Titin. "Like making a cup of tea?" "Exactly. 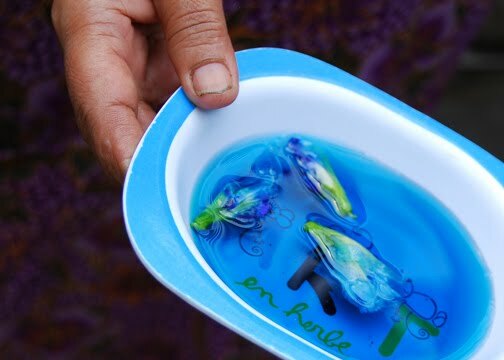 Then hold the sodden petals over the baby's eyes and let the blue water drip into them. It makes their eyes bright and clean, and is best used when the baby is between one week and one month old." The local name is Bunga Telang. 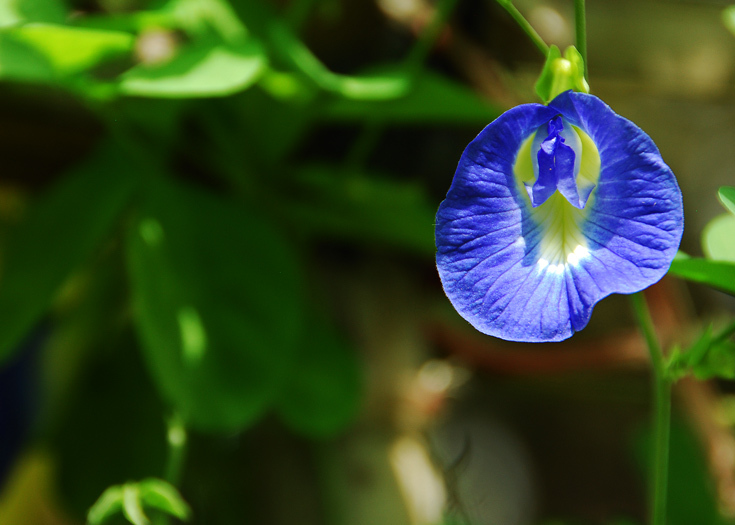 In English it's the Blue vine pea or Butterfly pea. The flowers are edible (can be fried), and are also used for food colouring. "Here, try growing your own," says Pak Waki, holding out a small plastic bag containing six round black seeds. "Many people don't understand the properties of bunga telang: you can't find these flowers in the market, only in people's gardens."